COMPACT, COMFORTABLE and fits your BUDGET. 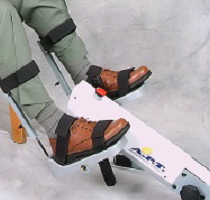 .Enjoy electric motor assisted exercise for arms and legs. – Reduce swelling, spasms and atrophy of muscles. Exercise from the comfort of your chair, wheelchair, or scooter. You will find it in Hospitals, Physiotherapy Clinics, Recreational centers, and in living rooms world wide. Base model: Small, light weight and portable. Folds to 7 inches low. 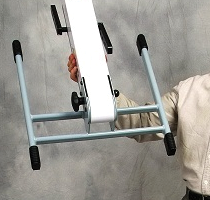 HiLo on Stand: makes it easy to switch between exercising arms and legs.